There’s a saying that rugby is the game they play in heaven, a seemingly ironic moniker given the intimidating physicality involved in the sport. The origin of this nickname is nebulous, but the 22nd annual Kiwi Cup held last Friday made manifest the sport’s allure. The Kiwi Cup is the first sporting event of the year for our school’s athletes, who traditionally go head to head with our long-standing rugby rival, the Saints of St Andrew’s Junior College. This year’s match saw Raffles go down to the Saints, although they came out of it nothing if not hungrier for victory than ever. This 22nd meeting of our very own Rafflesians and the Saints opened to rapturous applause from supporters on both sides, each armed with an arsenal of paraphernalia to hype the crowd and spur on their teams. The event was graced by Mrs Bernadette Cavanagh, the High Commisioner of the land of the Maori ‘All Blacks’. Hailing from the home of the world champions, the presence of Mrs Cavanagh at the 22nd Kiwi Cup likely spurred both teams on just a little as they played to impress. The impetus to win for the injury-laden Raffles Rugby team stemmed from their eight-year drought at this event, with this chip on their shoulder driving the stakes of this match up a notch. The afternoon began with a C Division matchup between both sides. The young Rafflesian C Division team’s defensive grit was tested early on, but the team showed not even a foible in their defense through their decisive stops. However, the Saints seemed unflappable even with a wall of resolve in their faces, eventually muscling their way through to score their first try. At half time, Raffles was on the losing end. Although the Saints looked to seal the deal there and then, they met with strong resistance in the second half as our Rafflesians battled it out with all they had, culminating in a try which set us on course to making a comeback. Unfortunately, the Saints proved too strong an opponent, playing lockdown defense for most of the second half, and the C Division’s team suffered a 10 to 17 loss in full time, ending nearly 80 minutes of battle under the blazing afternoon sun. The intensity of the first match was merely the overture to the ensuing exhilarating A Division matchup. A narrow loss to the Saints just a year earlier had only stoked our home team’s desire to claim the Kiwi title, although our prospects were dampened by the unfortunate injuries of three key players prior to the match’s commencement. Offense was a focal point of the match, as both sides did not rest on their laurels when it came to gaining ground on their opponents’ half of the field. However, the highlight of the match was the Saints’ stellar run right around the Rafflesian defense, which put them up by five points early in the game. History seemed about to repeat itself as our team was trailing ten to three before half time. Having said that, all was not lost as Raffles began to gain momentum and closed in on the Saints after Raffles’ Park Chang Kyu converted a couple of penalties. 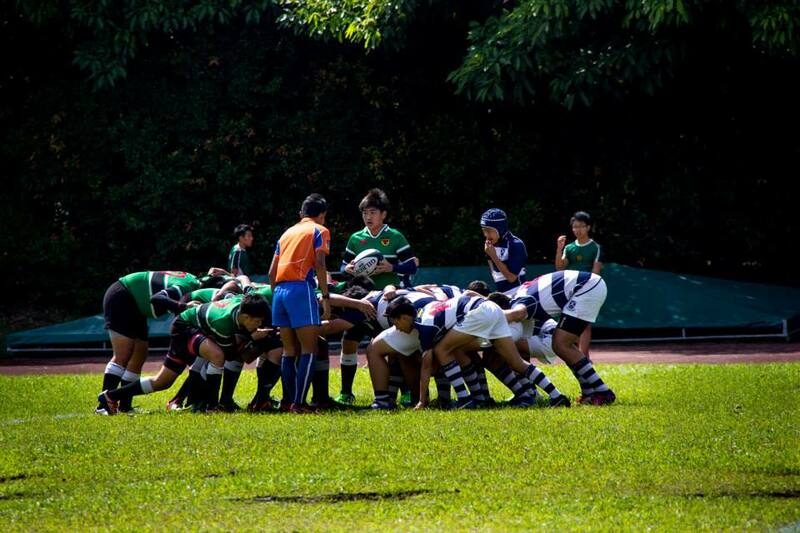 As time trickled on, Raffles was still searching for their first try which eventually came from Keith Tay after a series of scrums, giving Raffles only a three point deficit to catch up on. The second half proved to be an agonisingly slow one with as the stakes grew with each minute. Eventually, the Saints began gaining ground, with a penalty to bolster their morale, leaving the home team without any points in the second half. The match ultimately ended with a final score of 10 to 16, in favour of the Saints. 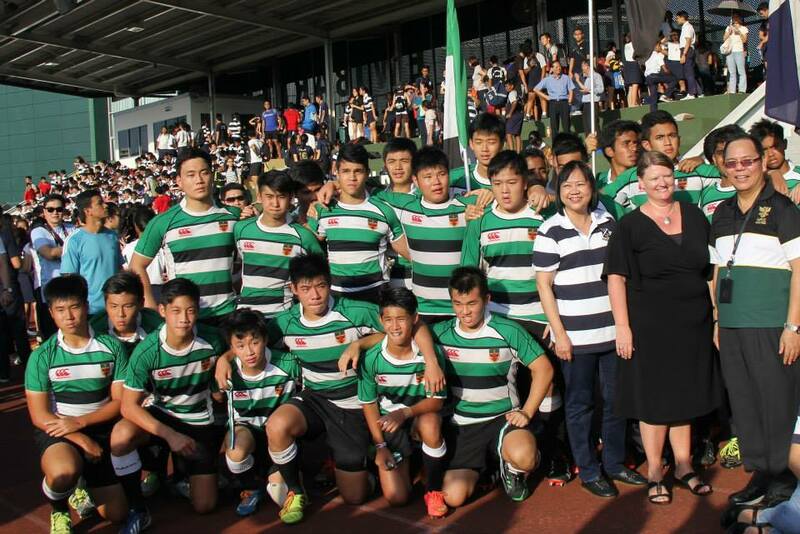 The match ended in defeat for the short-handed home side and tears were shed, but only greater experience was gained, as the Rafflesian rugby team stood strong and fought hard throughout the course of the Kiwi Cup. Despite this loss, captain Shant Sin (15S03K) remains optimistic about the upcoming season. As he told us, “I am confident in my team making it all the way. 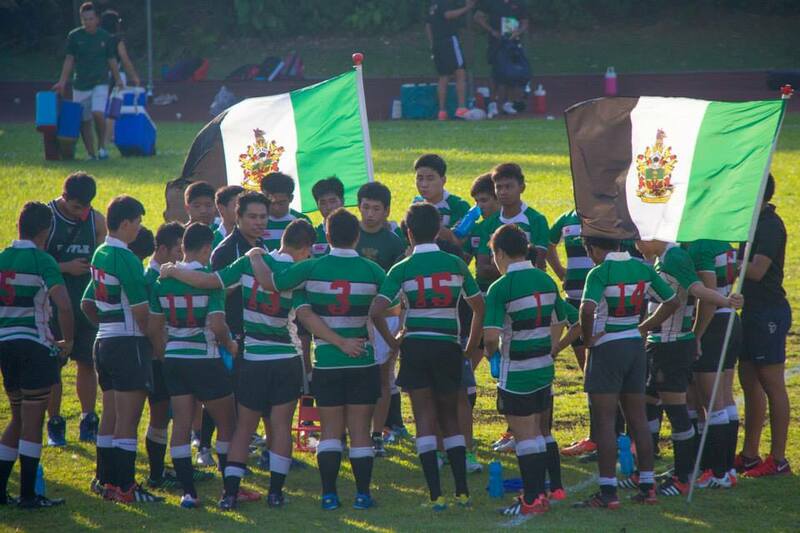 No matter how tired we are, we do not stop fighting and give it all until the last whistle blow.” These words encapsulate the spirit of Raffles Rugby, and together with the players’ sturdy resolve and the passion they have for the game, exemplify rugby’s title as the sport of heaven. 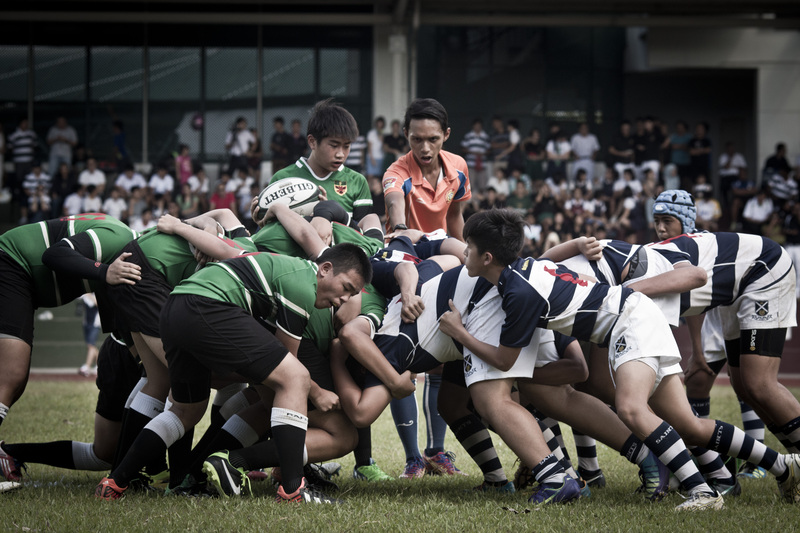 As Raffles Rugby heads into another season of intense matchups, Shant believes that his team will only grow and develop with every match they play, with camaraderie being the center of all things. With our rugby team’s unparalleled commitment to the sport and their chemistry as a unit, let us all wish them the best; may this year truly be a great year for rugby! I think that the origins of the ‘kiwi cup’ name has to do with the fact that a previous NZ High Commissioner to Singapore donated the trophy for the contest a few decades back.